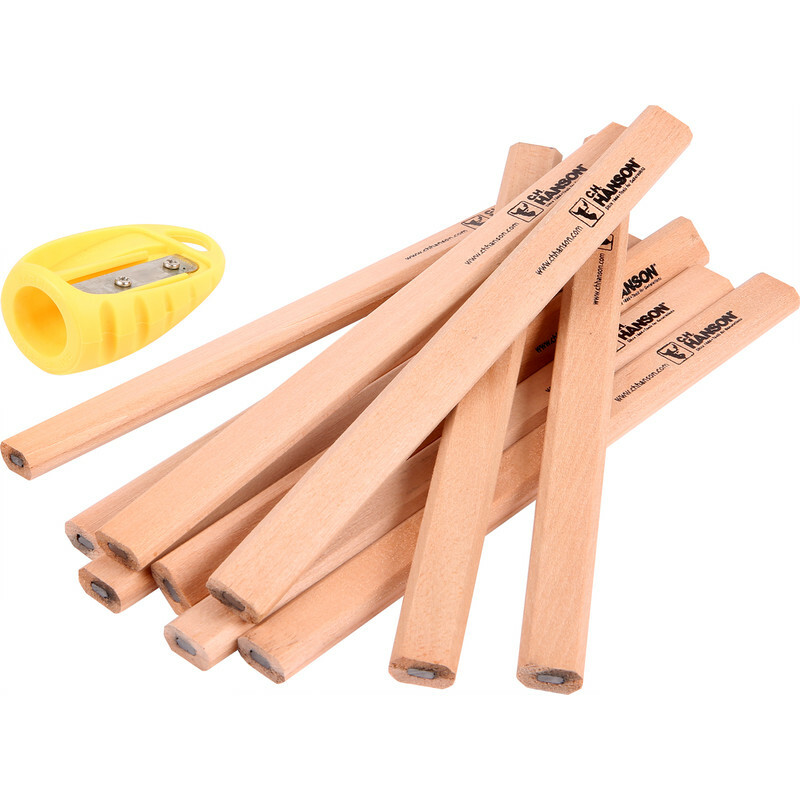 10 advent carpenters pencils with sharpener. FSC certified. Carpenters Pencil Set & Sharpener (10 Pack) is rated 3.0 out of 5 by 1. Rated 3 out of 5 by Busalez from Carpenters pencils Good quality pencils but not over impressed with the sharpener, i ended up using a knife to sharpen them, much better and faster than the sharpener. Save your money and just buy pencils.